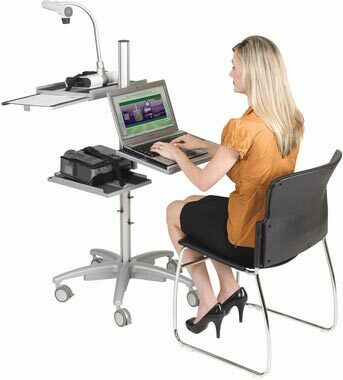 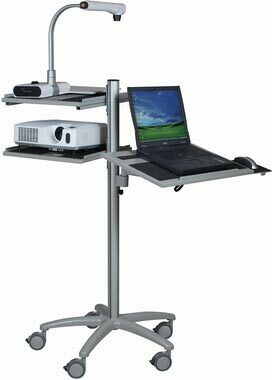 Prominent features such as adjustable three shelve units, mobility, and locking casters on the frame, make the Alph Cart a versatile tool ideal for providing a great mobile, but stable base for document cameras, projectors, monitors, and laptops. 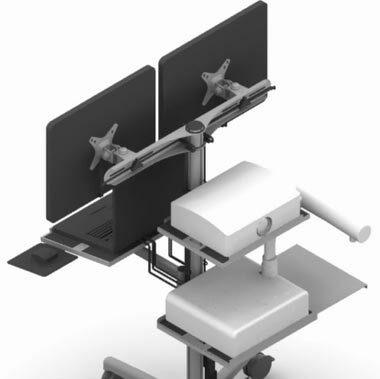 Equipped with cable management clips, it eliminates clutter caused by stray wires. 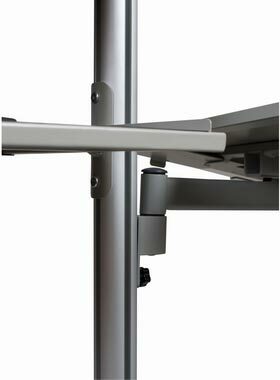 The adjustable shelves make working with different heights convenient and simple. 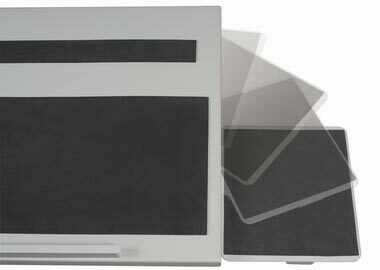 Shelves feature non-slip EVA pads that help keep items safe and secure. Retractable Document Camera Platform 13½" x 8½"
Laptop Shelf: 15¾" x 11¾"
Projector Shelf: 15" x 11"
Document Camera Shelf: 15" x 13½"